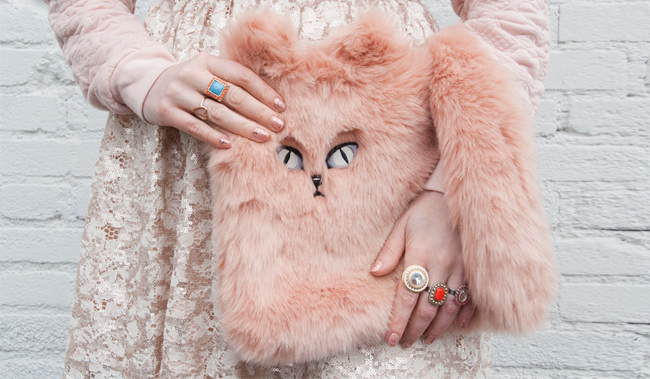 It's so Fluffy: Quirky bags are my kind of fun. Like a Superstar: Disguising myself with big glasses and hiding behind my bag. Quilt & Lace: Who says that delicate and casual don't fit? Character Cat: I must admit Kitty looks a little bit grumpy, but cute as a button. 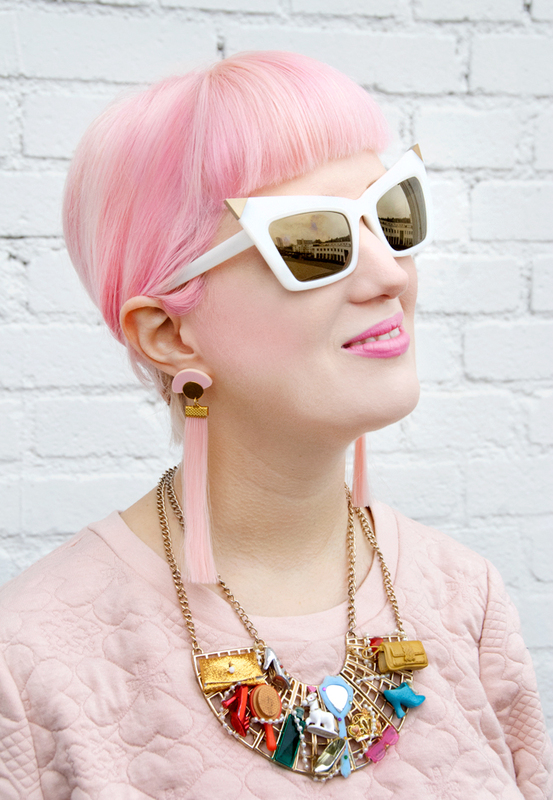 Unicorn Hair & Barbie Jewellery: Big girls still like what little girls love best. Wave the Tail: Because this is what happy cats do. True Love: A perfect pink couple. Saying Goodbye: Cat and me are on our way to more adventures. "Excuse me, may I stroke your cat?" I was asked when I went out dressed like this. "Of course," I said, even if my pink kitty is a little bit shy sometimes. Some dating experts say that going for a walk with a dog is a very good way to get in touch with possible partners. 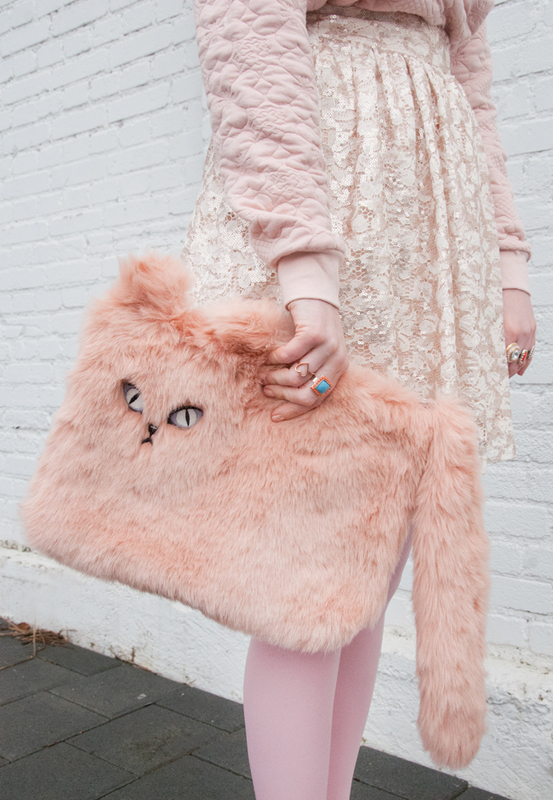 I say a fluffy fake fur cat is all you need to stir attention. Ok, probably it attracts more quirky women than suitable lovers, but I'm not in need for a romance anyway. January is almost over, and I feel restless. I wish I could travel somewhere right now. London, Paris, Japan, China... I am so ready. Where is my ticket? Where are the cool events, the exciting places and the crazy people? I wonder if they do all hibernate and imagine a big fluffy cave with fantastical sleeping creatures somewhere. Please send me directions, and I'll join. To cheer myself up I just booked my next trip to London and tickets to the Alexander McQueen exhibition at the V&A. I am playing with the thought to fly to China in summer. 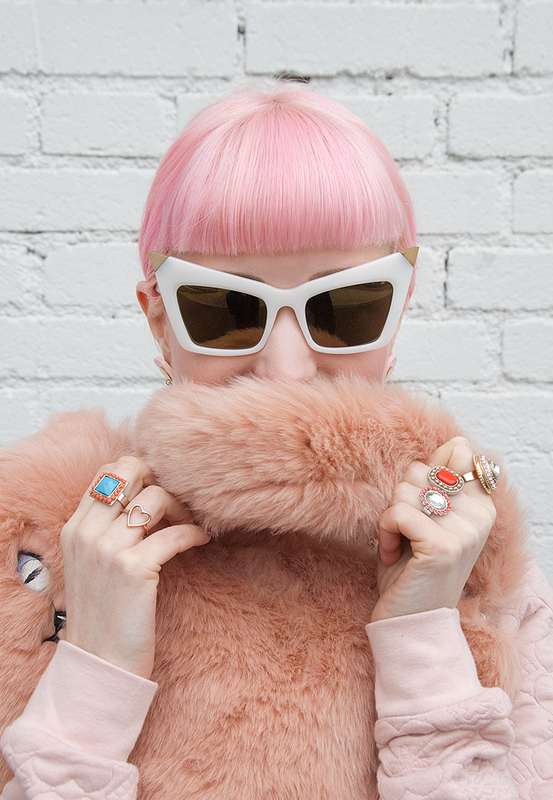 How do you survive winter and what do you think about this look? Oh my, it's almost Valentine's Day! Time for hearts, kiss lips and even more hearts! Here I show you my favourite finds inspired by the day of love. Especially the Alice McCall dress and the YRU platform sandals took my heart by storm. 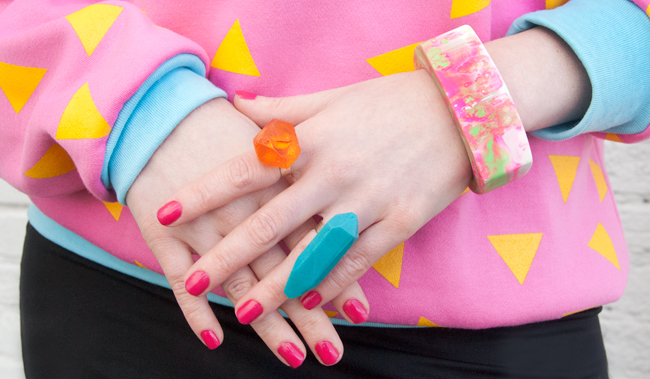 Accomplished by some of the accessories from this post, they would make the outfit of my dreams for this day. Quite a few people around me tell me they don't care at all about the day of love. I don't agree because it's too good an opportunity for at least a romantic candle light dinner. Love and being loved for just who you are is a very precious thing, so never too many opportunities to celebrate. Speaking for myself, I don't take it for granted there is somebody who can stand me and all my crazy clutter. Somebody who doesn't mind me being a hopeless fashion victim and encourages me to not be the nice girl from next door, just because that's not who I am. 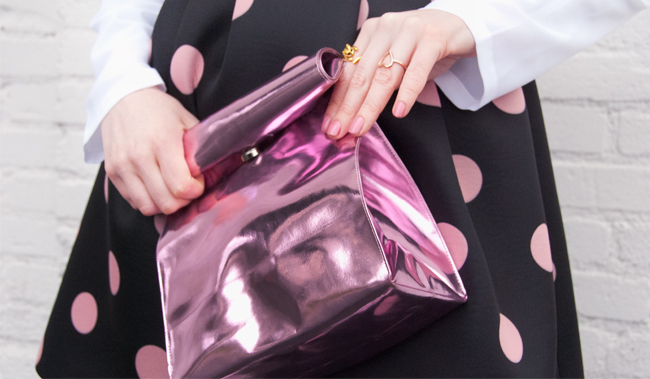 Do you already have plans for Valentine's Day and what are your perfect pieces for the day of love? Fascinator picture by Pearls & Swine. Photographer: Ellie Victoria Gale, Model & Mua: Victoria Stansfield. A look for a baptism according to Lovely Sara: Elegant but quirky. I'm daydreaming about future adventures with my little godchild. Vivetta is very popular in Japan; that's why I chose it for my half-Japanese girl. 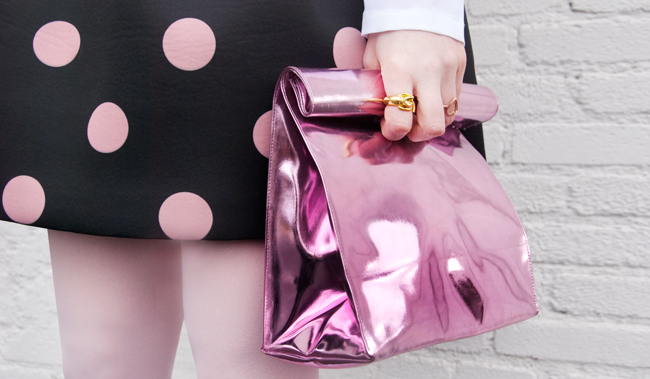 No, I don't carry my lunch in this shiny bag from Korean designer Yesimfrench. Being indulged in the sweet memories of a perfect day. I still can't stop smiling when I think about it. Helping hands: Like my collar protects my neck, I'll always be protecting a little girl. Keep your belongings in your bag and cherish your dearest memories in your mind! 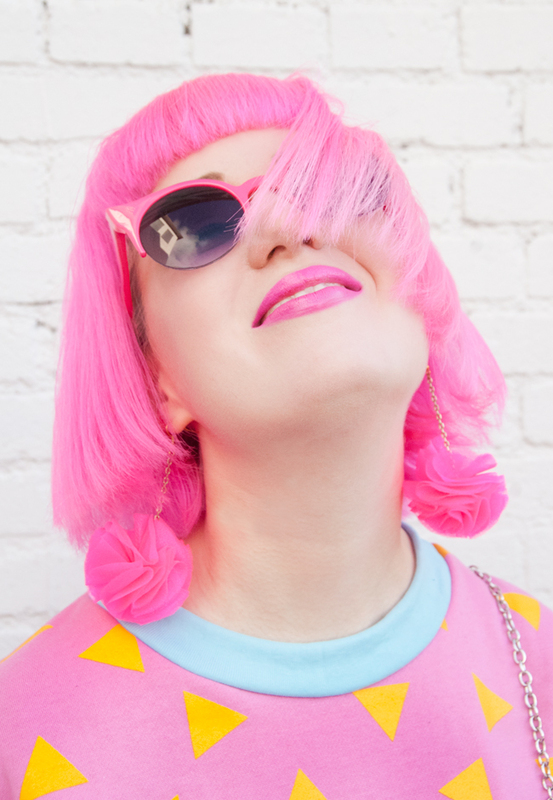 Sometimes perfectionism keeps me from showing you my most beloved looks: The light is not right, I have a bad hair day, I don't feel beautiful enough – whatever excuse I can find keeps me from being a good blogger. This outfit waited in my wardrobe for a very long time. I bought it for the baptism of my godchild last autumn, a very special occasion. Because my little girl is half-Japanese, half-German I wanted to wear something with a hint of Japanese flair. 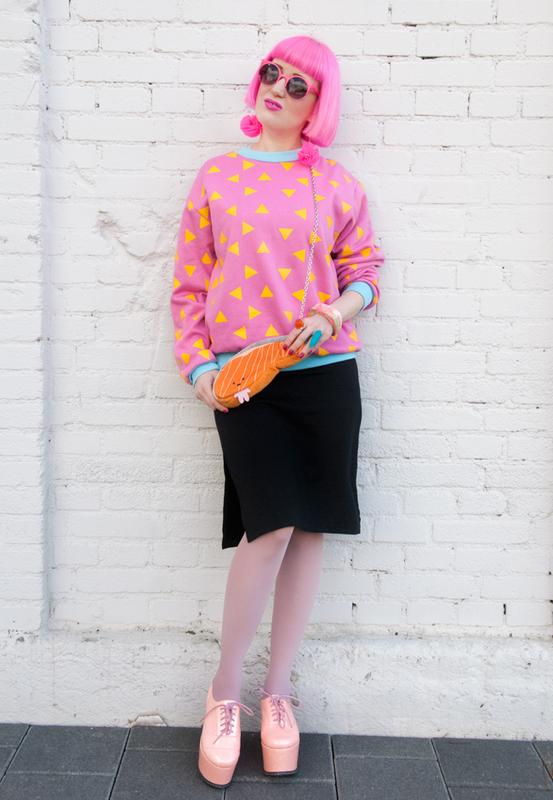 Vivetta seemed the perfect choice and a bag from Korean label Yesimfrench completes my look. Even if I love statement jewellery, for this event I went for less: A baby and big necklaces and chunky rings just don't go very well together. Please don't forget to tell me how you like this look. 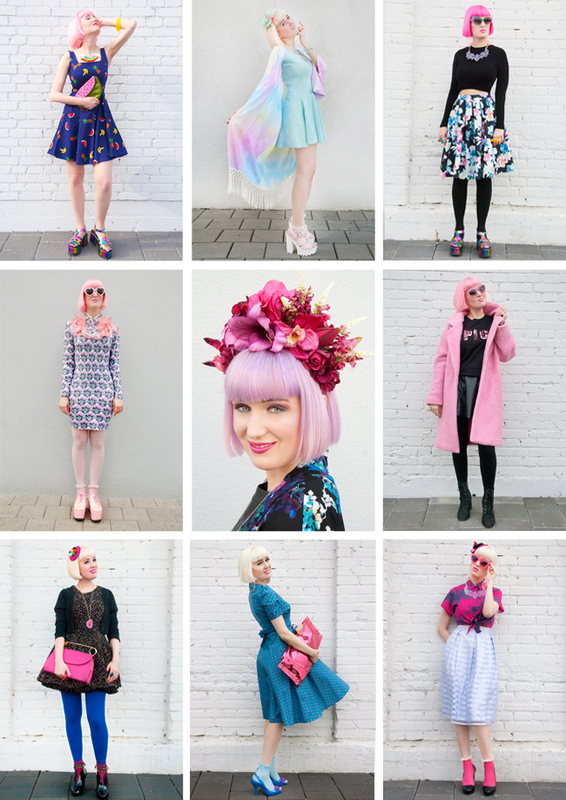 Wow, today it is exactly three years since I had the crazy idea somebody out there might be interested to see what I wear and started my blog. This day is almost more significant than my birthday. I have very mixed feelings about my third year of blogging: I was deeply touched by your messages, but sometimes frustrated about my posts ending up in a deep, meaningless void. 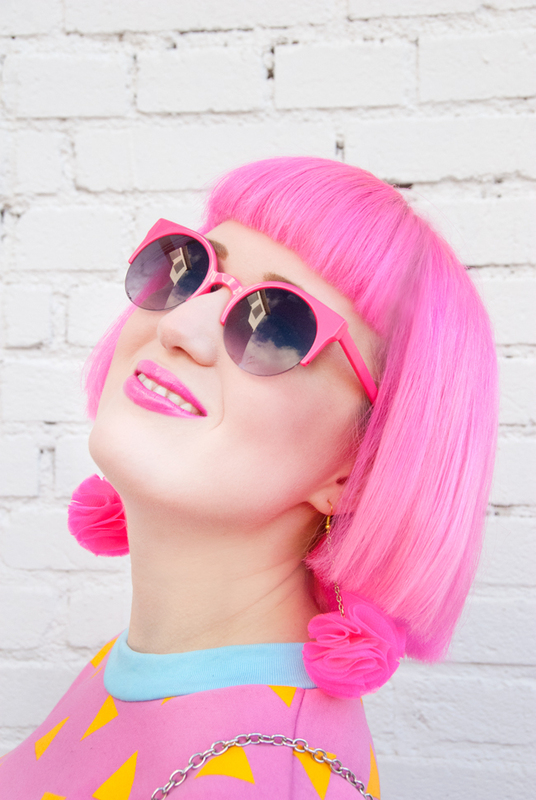 A few times I couldn't grasp why certain brands I dream of working with prefer other bloggers. "Is my best not enough," I started to ask myself. 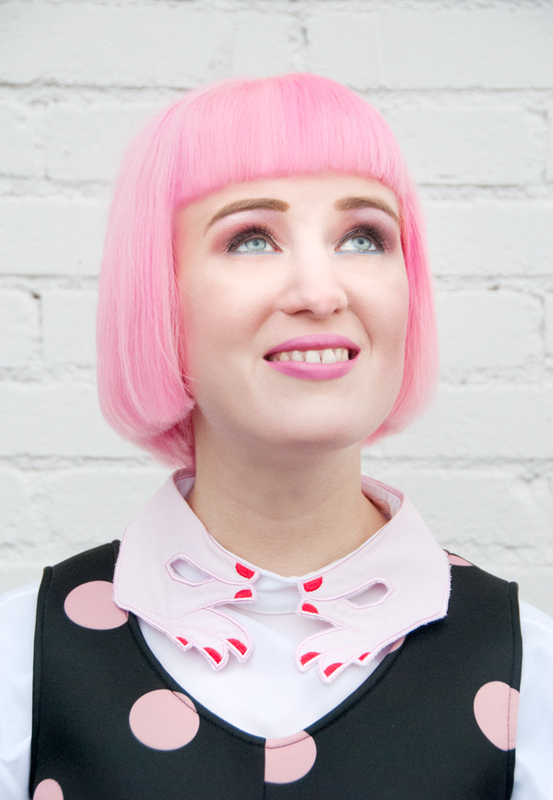 Other times I couldn't believe my luck when the most amazing designers and labels from all over the world contacted me. It is lovely to have goals, but things often turn out a different way than imagined. Sometimes better, sometimes less glamourous. I am still the quirky outsider in the Swiss blogger scene, but proud of my very international readership. During my three years of blogging, I never had a break from blogging – not even for a week – and I still don't need one. I just love my blog. Nearly every free minute I have, I spend working on posts. 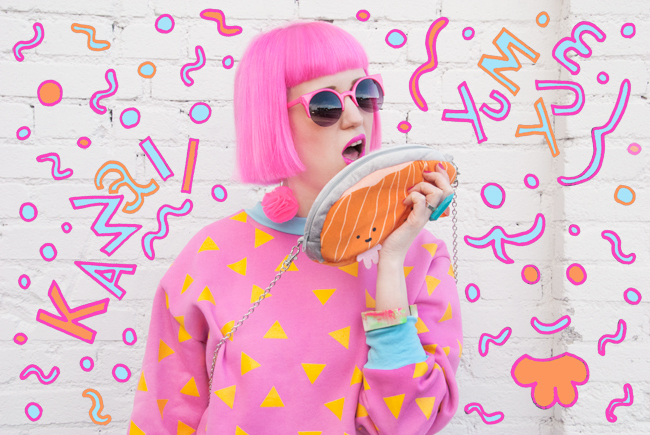 I am stubborn to continue, gather an army of quirky girls around me, ready to colour the world! Time to walk with one's head raised into year four of blogging: Finally, this blog deserves a top-level domain and this will happen during the next days. As well I have a secret list of designers and labels I wish to collaborate with (feel free to step forward if you have the feeling your name is written there…). Year four, please be a good one and I will be good to you. Pictures: Overview of all the outfits during the third year of "Sara is in Love with…". All looks of year one here and of year two here. 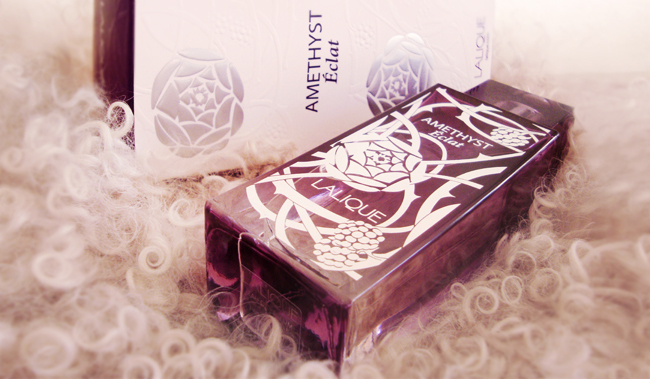 Amethyst Éclat from Lalique: This fragrance starts the berry season right now! 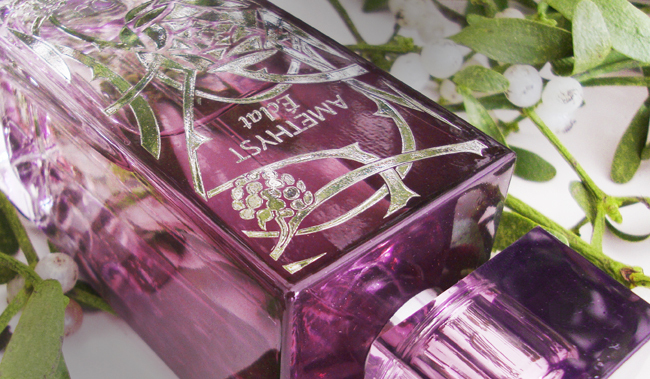 It comes in an elegant bottle with silver vines and a touch of Art Nouveau. Just a drop of this and you might forget about winter. This seductive perfume, ready to enchant and linger on your skin. 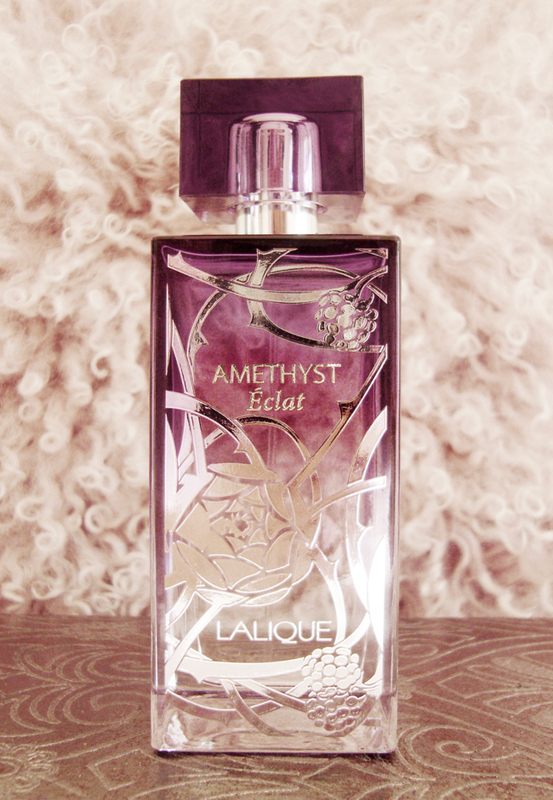 I was very lucky to win a bottle of the just released Lalique Amethyst Éclat fragrance on the SchuSchu blog. I can't share the perfume with you, but I thought you might like to read a review. Lalique is an 1886 founded French label, closely connected to luxury. Their founder René Lalique was an ingenious Art Nouveau artist, who made the most amazing jewellery and crystal glass objects. Long after his death, the magic of Lalique continues with their creations of jewellery, perfumes and glass art. 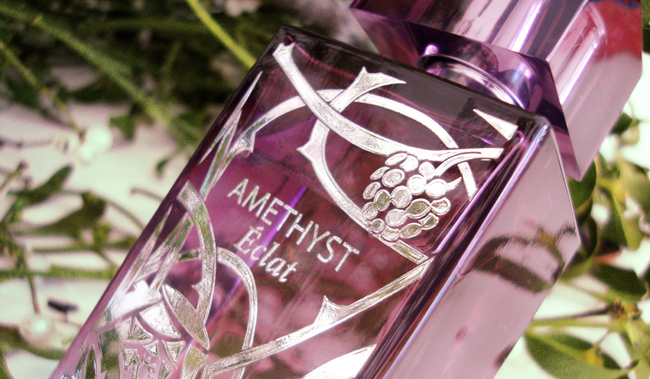 Their newest fragrance Amethyst Éclat is a successor to Amethyst from 2007. 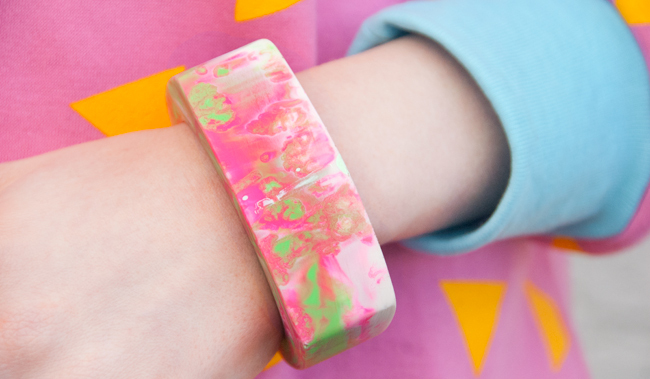 It's inspired by a gemstone and a very cheerful, sweet and juicy fragrance. It opens with black current, combined with raspberry and nashi pears. The heart of Amethyst Éclat is a combination of rose, peony and magnolia, accompanied by Oxalis violate, blackberry and musk for a base. This very feminine perfume comes in a purple bottle, decorated with silvery peony and berries – a touch of Art Nouveau but newly interpreted. Lalique has launched a limited edition in a crystal bottle based on designs by René Lalique for those who seek the pure luxury (about 1000 £). Thanks to SchuSchu for letting me win this perfume. I've never been to Australia, but I love the fashion from this country! 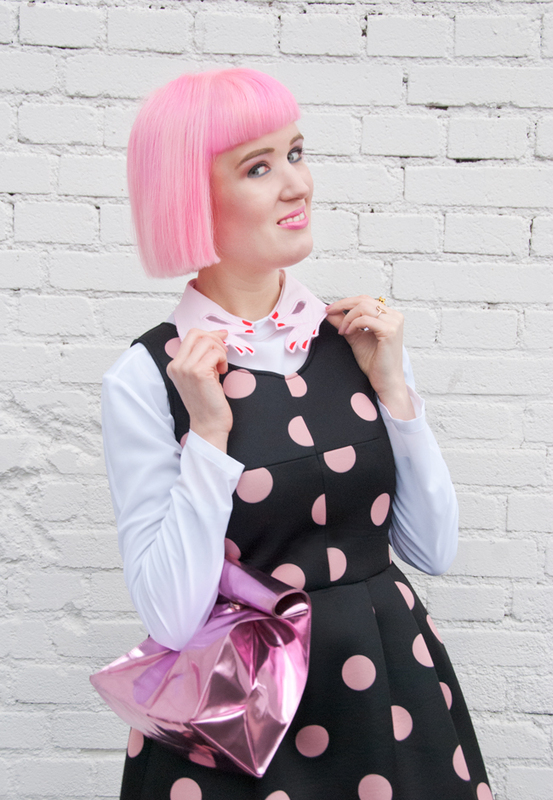 When I found Melbourne based label Tilly Me, I was convinced again that the Aussies just know how to make fashion colourful, bright and exciting! 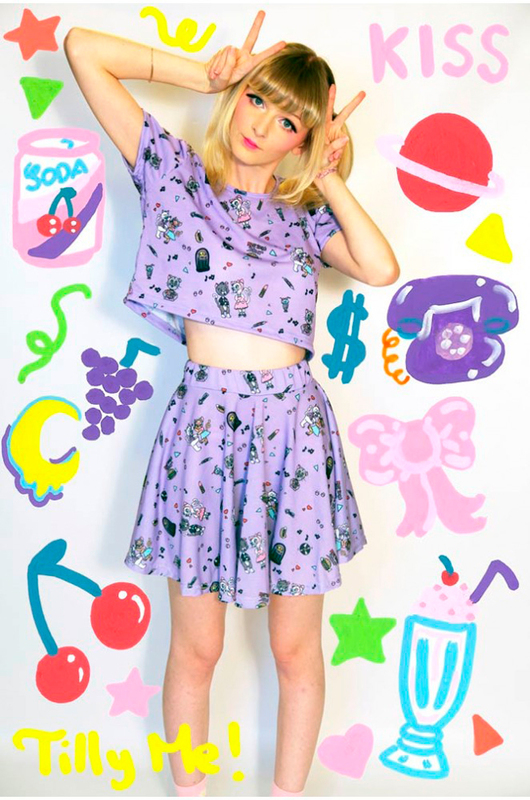 Tilly Me is the label by Tilly Michelle, a Melbourne based style icon fond of Harajuku fashion and the 80s and 90s. 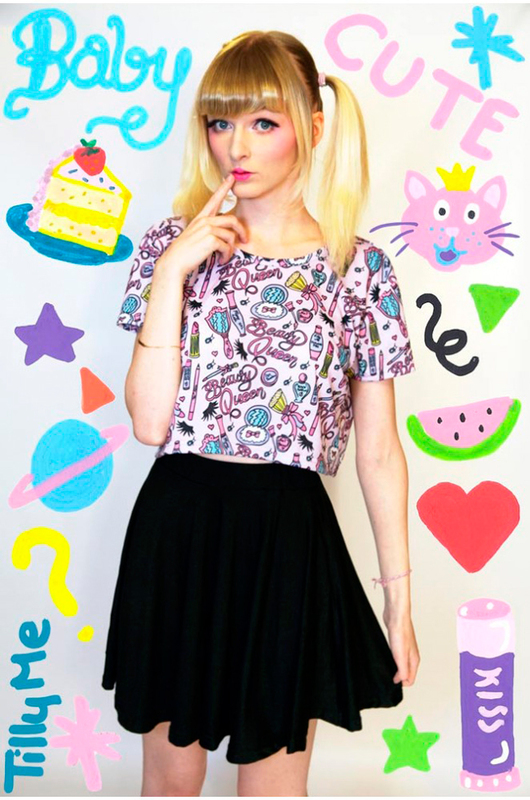 She creates bold street wear for women and men, featuring kawaii illustrations and cool geometric prints. 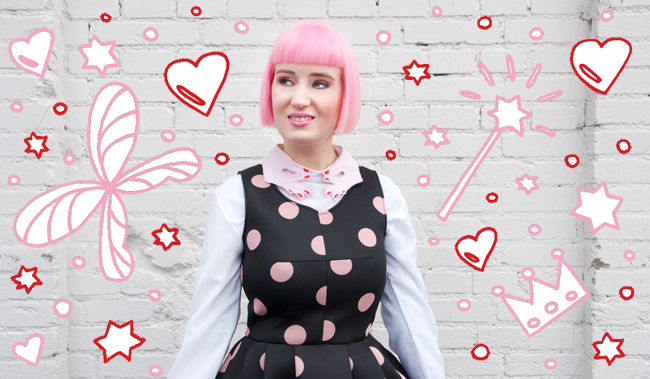 The distinctive prints are illustrated by Tilly herself and all items are made in Melbourne. As I already have a jumper from Tilly Me, I can truly say that the quality of the hand screen printed fabric is amazing and worth every penny. Because it's summer in beautiful Australia now, they just released a few breathtaking pieces for the warmer days. No matter how much snow there is over here, I can't stop thinking about the quirky beauty queen, dinosaur and cat prints. 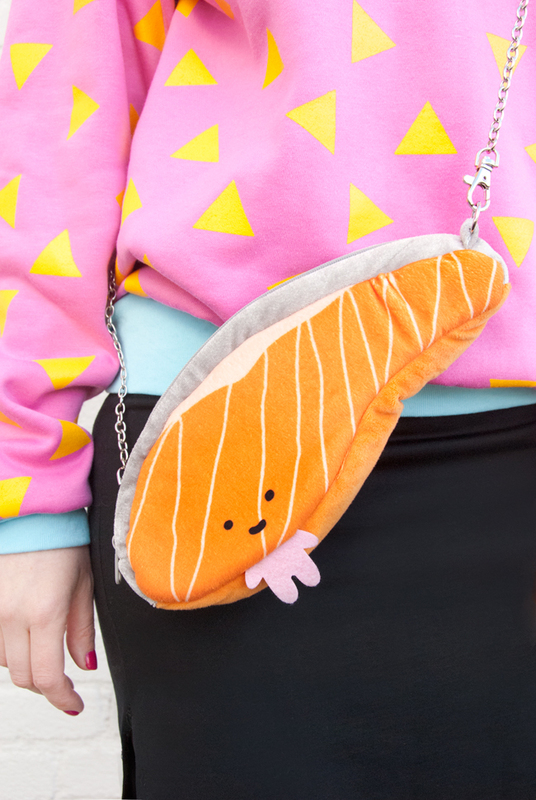 I bet they would look rad with thick tights and winter boots as well. Winter you can't stop us girls go crazy for Tilly Me! Visit Tilly Me here and don't forget to follow them on Facebook. Copyright of all pictures by Tilly Me. Photographer: Jayshell Photos.